We had another character breakfast at Disneyland, Breakfast in the Park with Minnie and Friends at The Plaza Inn Restaurant. I think the food was better, but it was much more packed. 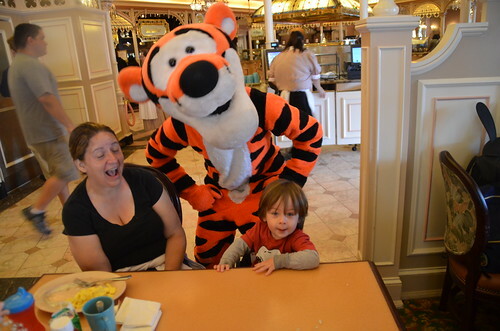 Tigger was the only character interaction Aiden really had. 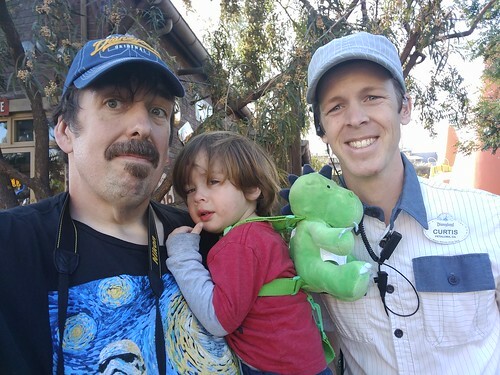 I took Aiden on the Storyland boat. Aiden got to meet Curtis Hoffmann. 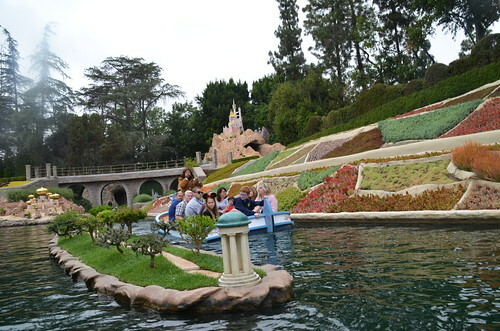 It was cool to talk to Curtis about his job at Disneyland. Aiden enjoyed Luigi's Rollickin Roadsters. We tried to watch the Pixar parade, but Aiden was having none of it. We had to ditch. 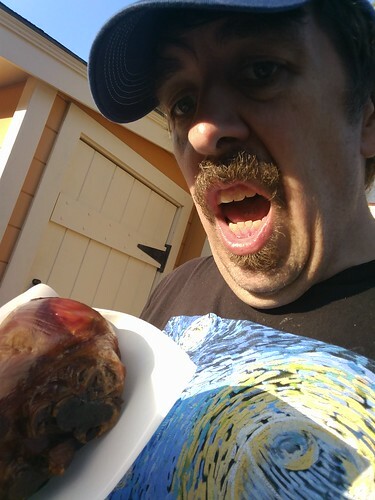 I tried to eat a turkey leg, but I just couldn't eat it. I had to settle for a corn dog. Aiden feel asleep again, He was unhappy so we couldn't stay for the electric light parade. I am sorry I missed it because I wanted to see it. I didn't get to see fireworks any day this week. I got to swim in the Disneyland Hotel pool by myself. I had to go for a swim some time on this trip. The pool was very good.